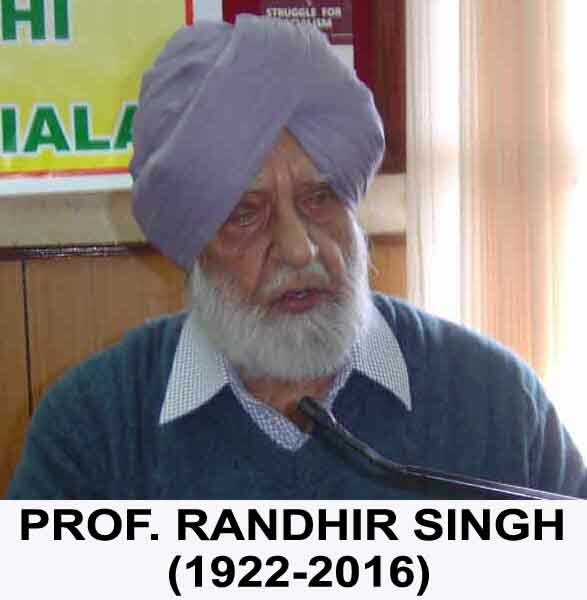 Prof. Randhir Singh a legendary Marxist Political Theorist and Teacher died at the night of January 31, 2016. 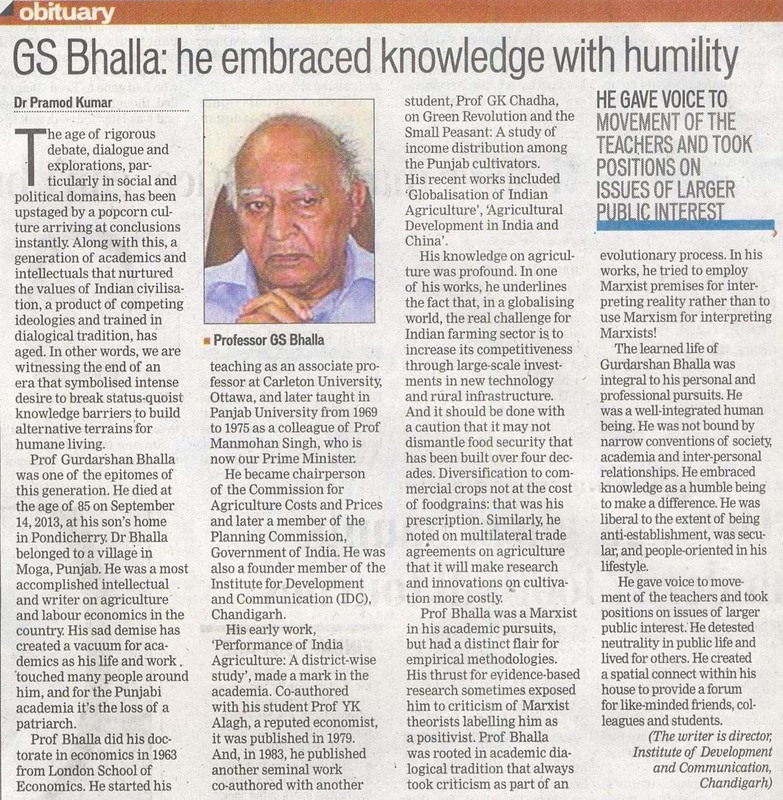 He has inspired a generation of intellectuals and students to build alternatives. 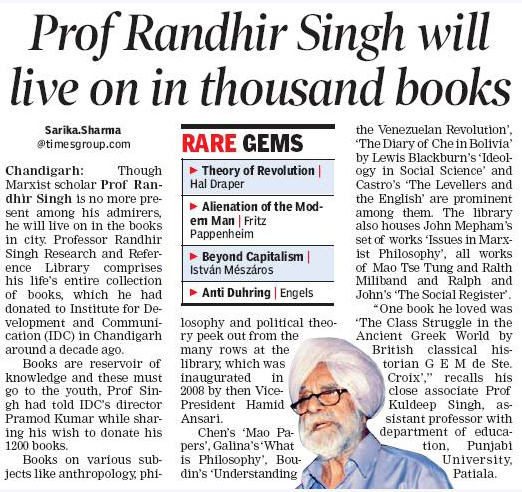 He belonged to a group of social and political thinkers who could interpret social reality in the language of people. 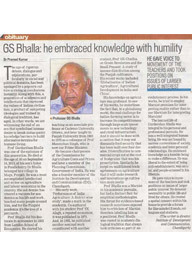 With his death a generation of committed pro-people has come to an end. 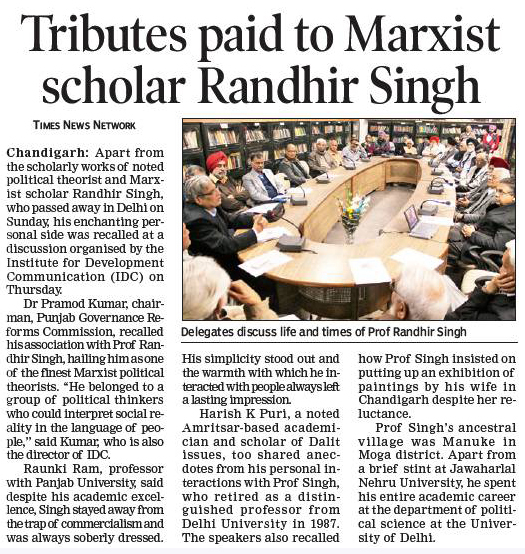 To celebrate the life and politics of Prof. Randhir Singh, a meeting was held at the Prof. Randhir Singh Research and Reference Library at Institute for Development and Communication (IDC), Sector 38A, Chandigarh on Thursday, February 04, 2016 at 11.30 AM. 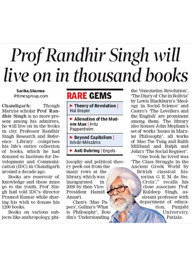 Prof. Randhir Singh was founder member of the Governing Body of IDC.